Build up a great army, gradually training raw recruits into hardened veterans. 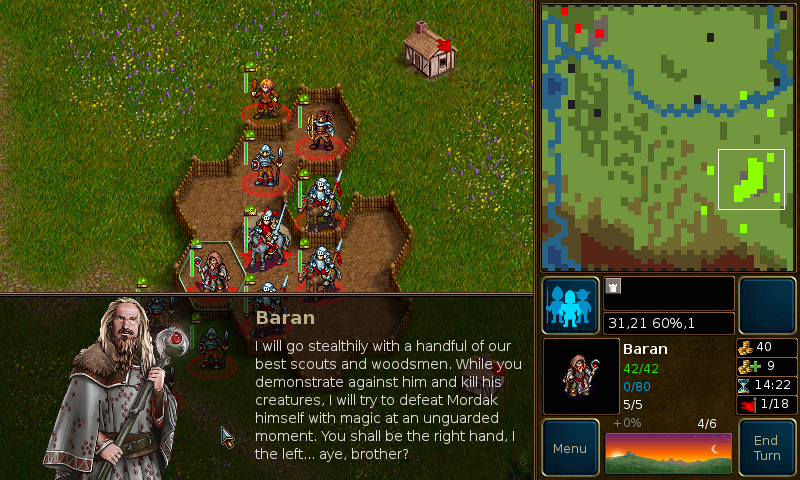 In later games, recall your toughest warriors and form a deadly host against whom none can stand! 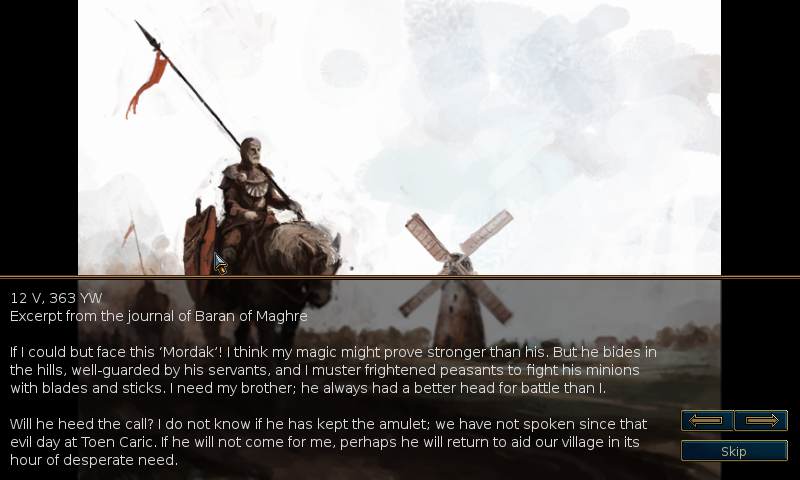 Choose units from a large pool of specialists, and hand pick a force with the right strengths to fight well on different terrains against all manner of opposition. 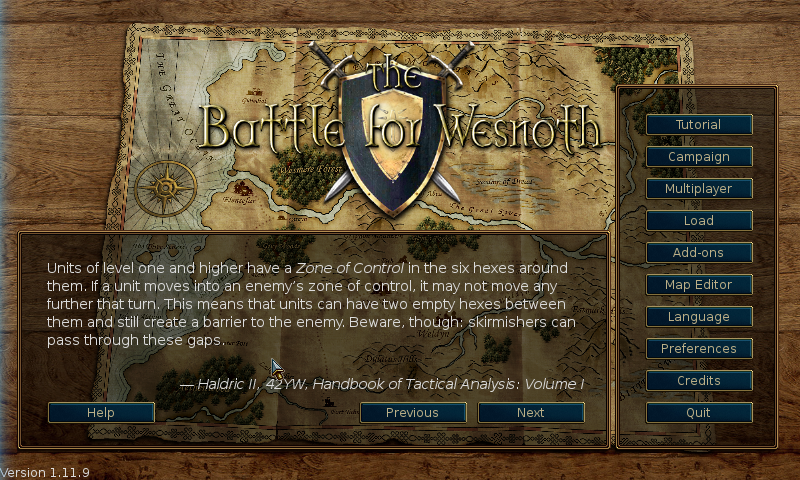 Wesnoth has many different sagas waiting to be played out. 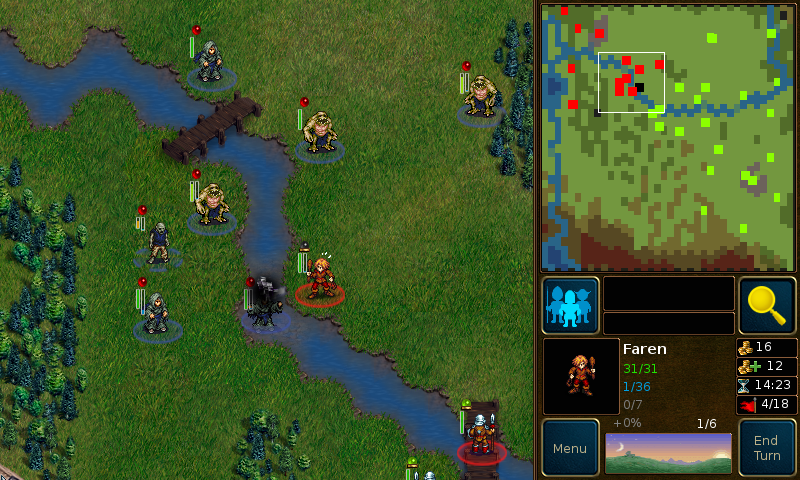 You can battle orcs, undead, and bandits on the marches of the Kingdom of Wesnoth; fight alongside dragons in the lofty peaks, elves in the green reaches of the Aethenwood, dwarves in the great halls of Knalga, or even merfolk in the Bay of Pearls. You can fight to regain the throne of Wesnoth, or use your dread power over the Undead to dominate the land of mortals, or lead your glorious Orcish tribe to victory against the humans who dared despoil your lands. This is the latest release in the stable series. It should feature a robust selection and a well populated multiplayer server. Savegames from 1.11.x should be compatible. If you are using 1.11.x at the moment, please replace this now outdated package by 1.12.x. If you want to you can rename your appdata/wesnoth-1.11 folder to appdata/wesnoth-1.12 to continue using your old settings. If you are still using 1.10.x: That series is also replaced by this release. Though for the old 1.10 appdata it is not recommended to be used with 1.12. The savegames might still somehow work, but it is likely that you will at least notice incompatibilities. Better to start anew with 1.12! I got a segmentation fault when playing the second mission of the tutorial. No additional details in the PND out. Maybe it's worth retiring the older Wesnoth packages from the repo to avoid any confusion ? Thanks for the continued support! No problems found so far.